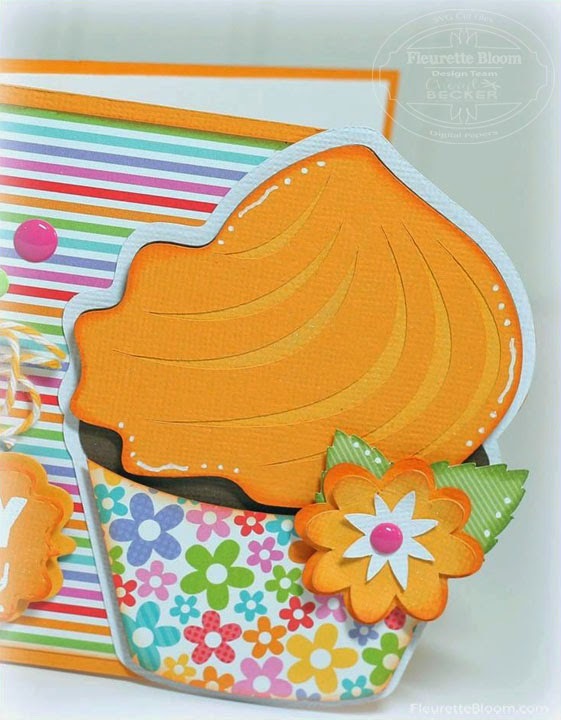 Here is a sweet treat for cards, scrapbooking and other paper projects. Some deliciously cute cupcakes!!! Create them with the pretty flower for Mothers Day or add a cute face stamp on the wrapper for a different look, how about a cherry on top! They also coordinate with our New "Celebrations" 3D SVG Kit. Of course they are fantastic for birthdays or other special occasions as well! 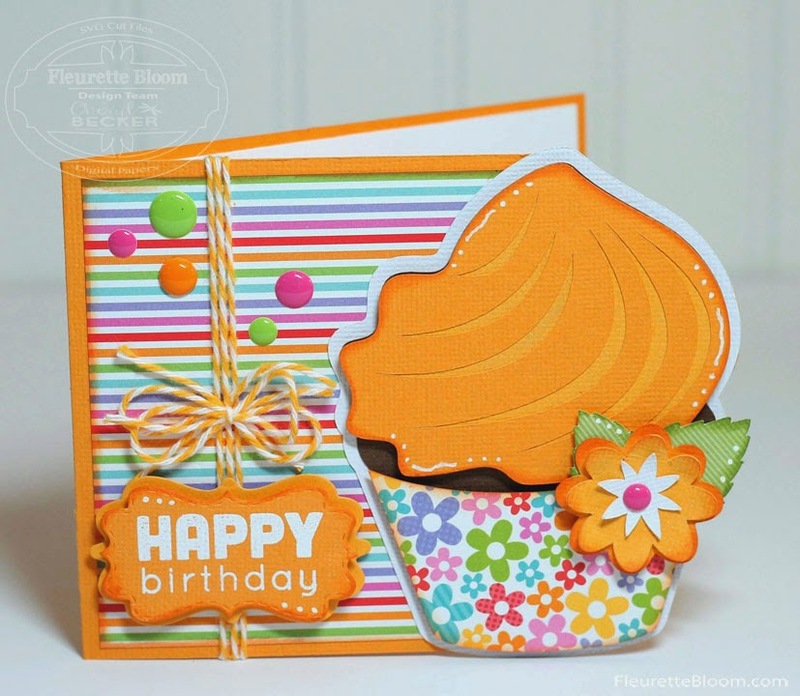 Scroll down to see a super cute card made with the "My Little Cupcake" file by DT Member Cheryl Becker!!! 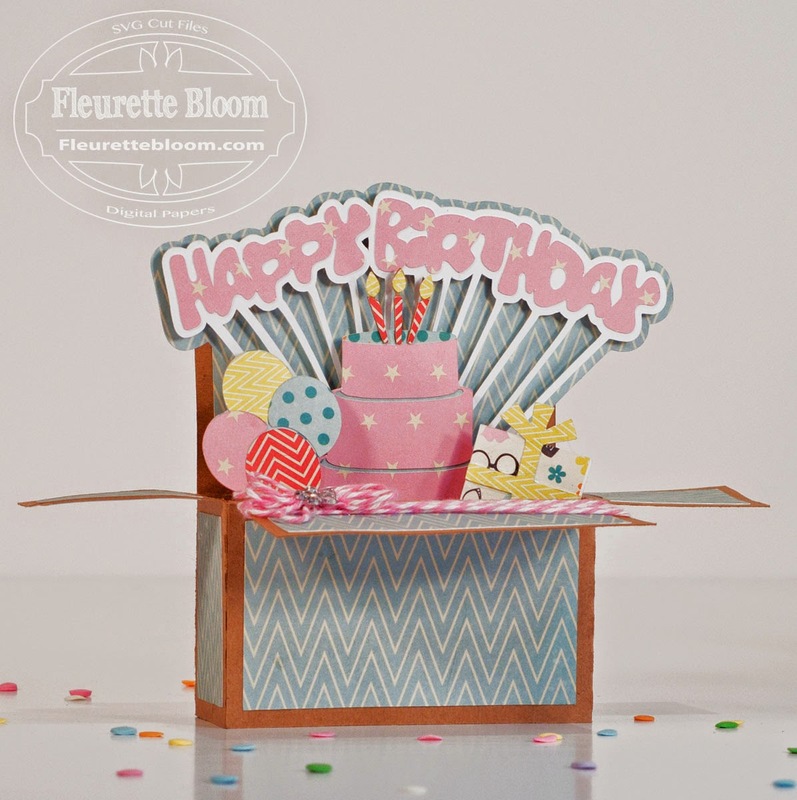 Check out the super fun card created by Design Team Member Cheryl Becker!!! 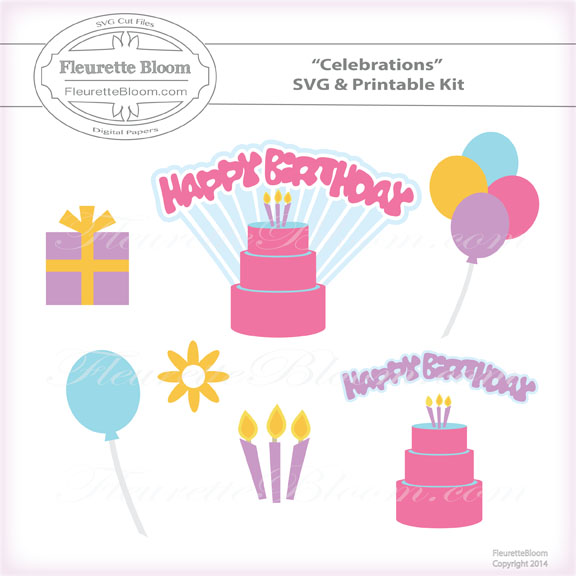 The new Fleurette Bloom "Celebrations" 3D SVG Kit" has so many fun projects to create!!! Great for parties, gifts, treat boxes room decorations and more!!! a new twist on it! 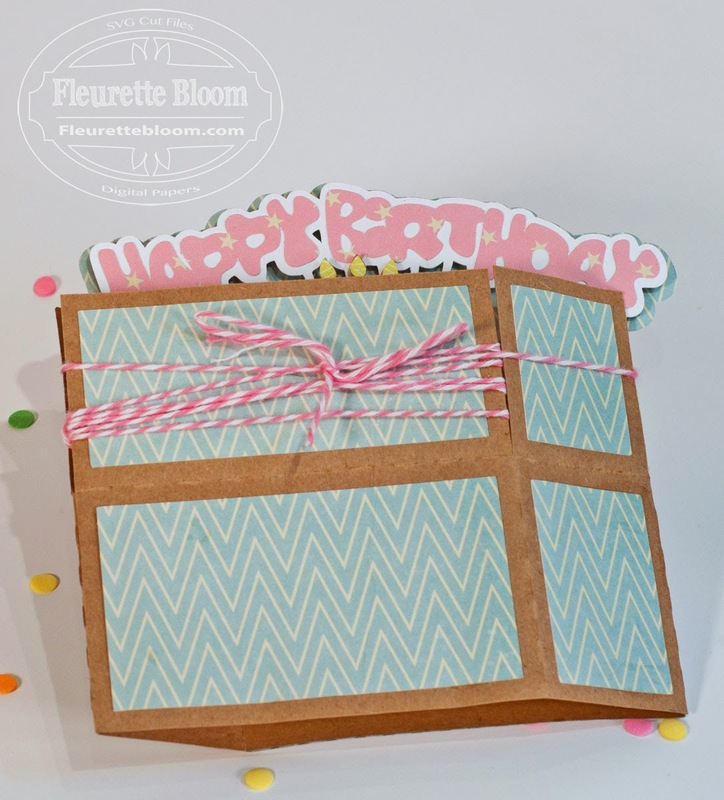 Our Card In A Box has a broader area for you to play with, so fun!!! 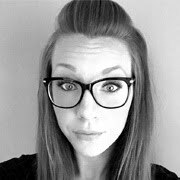 Plus full Directions on how to create everything in PDF format! to create a completely different look! 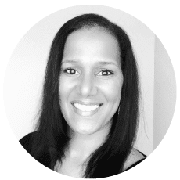 It's super easy to create and very impressive! 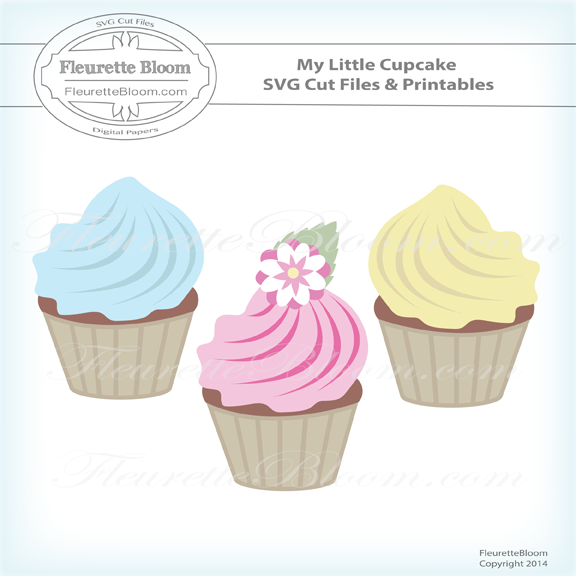 You can even use this box with other svg cut files for other occasions! It has a full back space to write your message and is so easy to make! It also folds flat so you can mail it to a friend! for Print & Cut projects, T-Shirts and more! These would make a beautiful Mothers Day gift or table decoration. The elegant flowers could be used on so many other projects too! 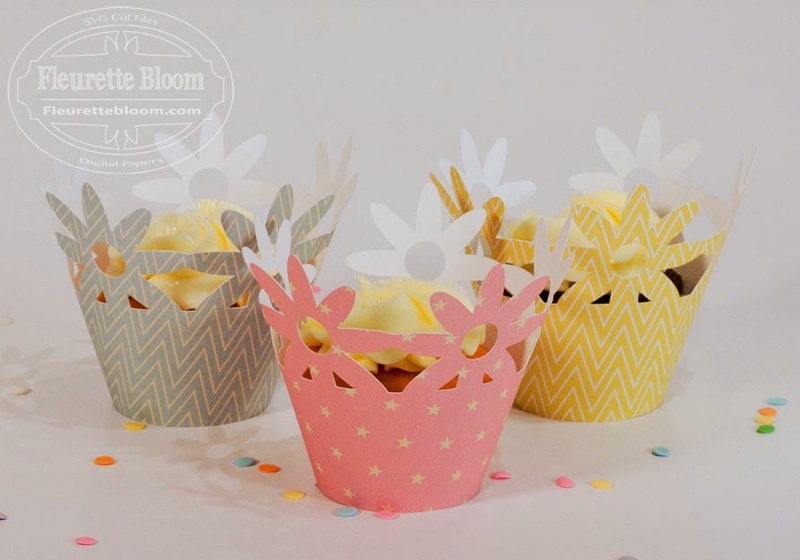 The Flower Cupcake Wrappers are so fresh, perfect for spring, summer or Mothers Day! 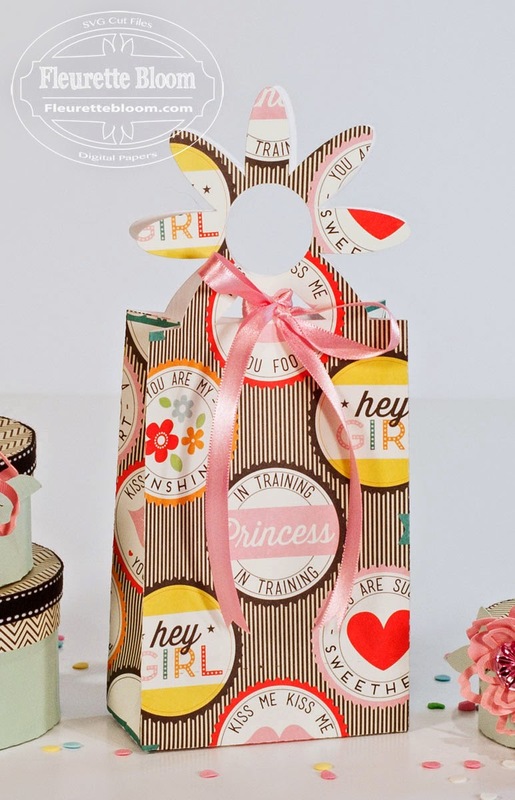 The Flower Gift Bag is fresh, unique and super easy to create! Make it as shown here or add the Extra flower overlay for a layered look. 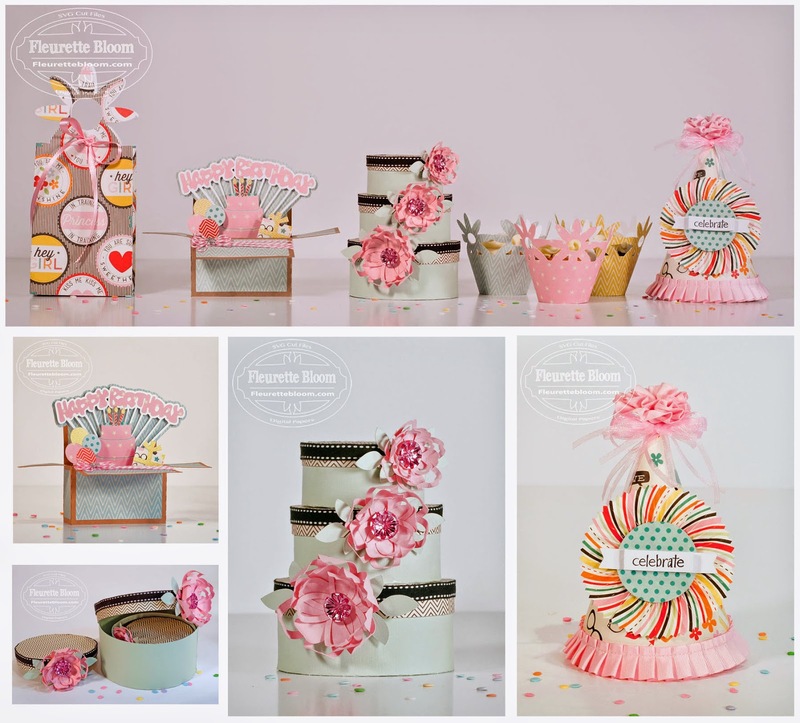 Use pretty spring or summer papers for a whole different look! You can make it large or small as it comes in 2 sections so enlarging is a snap. It also works on 8.5 X 11 paper! 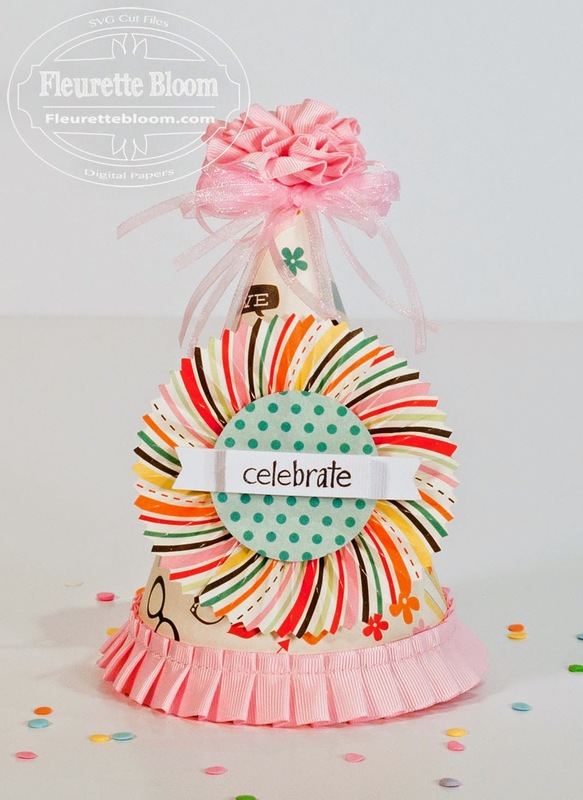 Our Party Hat is super cute, fun and easy to make. Create it for any birthday or special occasion! 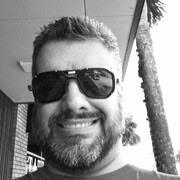 putting a smile on that adult face! up and turn it into that bouncing boy party hat! 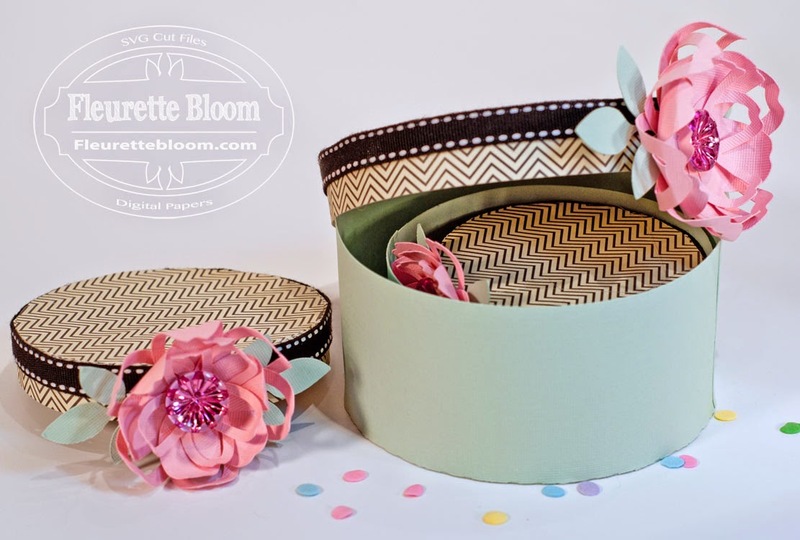 The possibilities are endless just by changing the paper and embellishments. 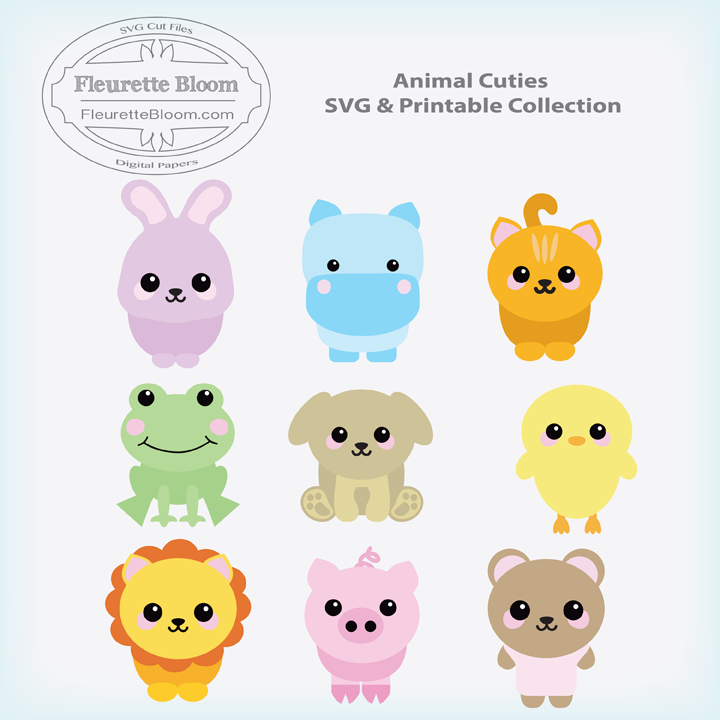 The new Fleurette Bloom Animal Cuties SVG & Printable Collection are so adorable and very versatile! Each cutie comes with an Extra Face, so you can even use a fun stamp with it! Extras - you will also get an extra face for each animal, giving you the ability to use a stamp or draw your own cutie pie face! 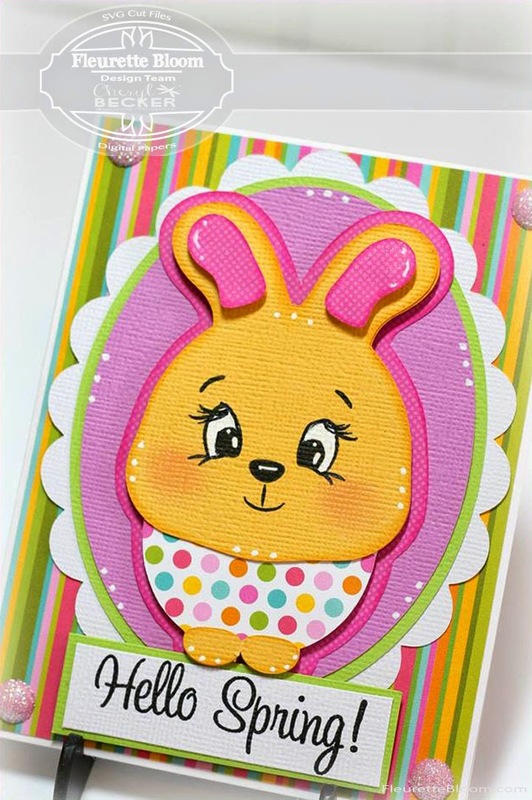 Cheryl Becker of our Design Team, created this adorable card using the Bunny from the collection. She used the extra face that comes with each cutie and stamped a sweet face on hers, see Cheryl's Blog for more details @ Dragonfly Designs. So cute!!! 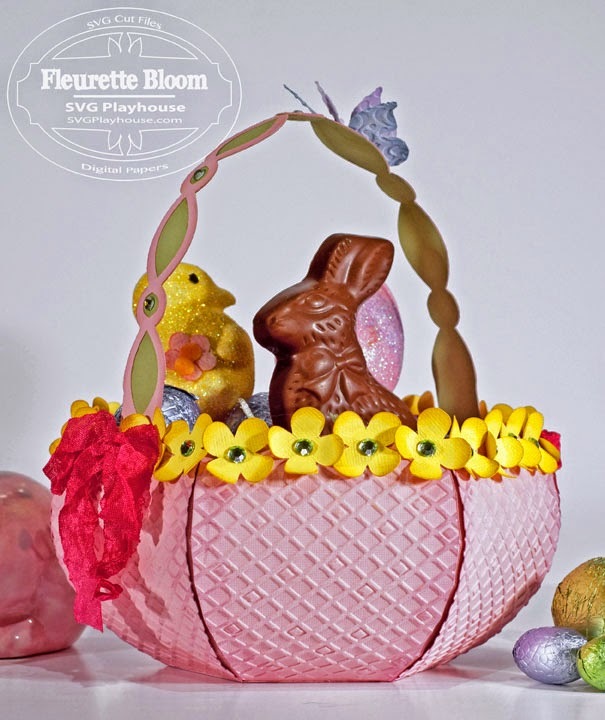 All files are cut clean, all are original and have been created 100% from start to finish by Fleurette Bloom.